SON IN LAW deals with a new college student (Carla Gugino) who brings her insufferable resident dorm adviser (Pauly Shore) back home to the farm to spend the Thanksgiving holiday with her family. As you can imagine, no one is thrilled to spend time with this idiot (much like the audience). 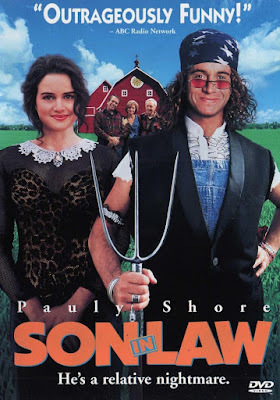 This unfunny cow dung is available for streaming on Amazon, VUDU, and YouTube, but as always, you're better off leaving the special needs comedians to us and finding some other farm to cinematic screen to watch instead. 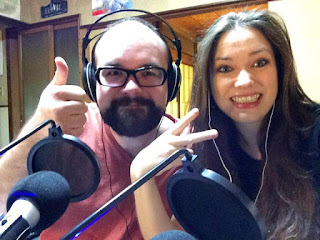 Our special guests this time out are Dustin & Jessica Kramer, the hosts of the Popcorn Poops podcast. You can listen to their take on this mess HERE.